Two men involved in the importation of almost £50 million worth of drugs into the UK have been jailed. The pair were sentenced at Snaresbrook Crown on Friday, 18 January for their part in the importation of cannabis and a drug used to treat insomnia. It is estimated throughout the course of their conspiracy the pair imported drugs with a total street value between £38 million and £49 million. Simon Coombes, 48 (21.1.70) of College Road, Sittingbourne was sentenced to 10 years and five months’ imprisonment and Gareth Attard, 43 (14.10.75) of Moorhead Close, Cardiff, was sentenced to eight years and six months’ imprisonment following a three-day Newton Hearing at Snaresbrook Crown Court. 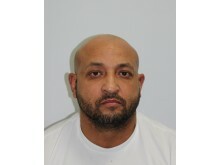 Coombes previously pleaded guilty to one count of importing Class B drugs, one count of conspiracy to supply Class B drugs and one count of conspiracy to supply Class C drugs. Attard also pleaded guilty to one count of conspiracy to supply Class B drugs and one count of conspiracy to supply Class C drugs at an earlier hearing. The pair were jailed as a result of an intelligence-led investigation carried out by the Met’s Specialist Crime Command. Between April 2015 and September 2016 Coombes and Attard facilitated 14 importations of cannabis and Zopiclone tablets to a car garage in Sittingbourne, Kent. The pair used a range of methods to conceal the drugs as they entered the UK including disguising them in crates marked as vehicle spare parts. They also concealed cannabis within tins of tomatoes being transported on HGVs. On 22 September 2016 officers from the Met’s Specialist Crime Command observed six crates being delivered to the garage in Sittingbourne. The next day, officers from Kent Police executed a search warrant at the address on behalf of the Met. 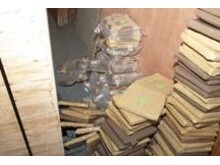 Officers discovered 1021kg of cannabis and 130,000 Zopiclone tablets within the crates. Coombes and Attard were not present at the address at the time of the search warrant but were arrested at a later date. 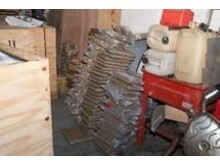 It is estimated that approximately six and a half tonnes of cannabis were imported to the address in Sittingbourne. Throughout the course of the investigation detectives recovered a total of 1096kg of cannabis and 130,000 Zopiclone tablets. On 29 January 2017 officers from UK Border Force conducted a routine stop of a HGV entering Dover. During a search of the vehicle 75kg of cannabis was found concealed within tins of tomatoes. Throughout the course of the investigation detectives obtained a range of evidence which linked both Coombes and Attard to this concealment. 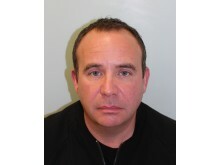 Detective Superintendent Neil Ballard from the Met’s Specialist Crime Command said: “I am satisfied with the sentences handed to these two men for their part in the importation of drugs into the UK. This operation clearly demonstrates the Met’s commitment to tackling organised criminals who seek to profit from the misery inflicted by the distribution of drugs. This was a complex investigation and demonstrates our dedication in reducing the supply of drugs and removing the danger these substances pose on the streets.